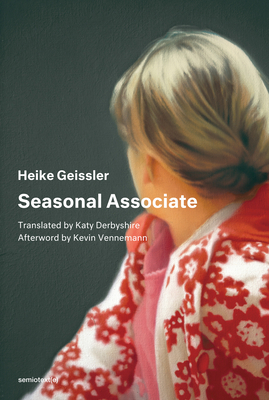 No longer able to live on the proceeds of her freelance writing and translating income, German novelist Heike Geissler takes a seasonal job at Amazon Order Fulfillment in Leipzig. But the job, intended as a stopgap measure, quickly becomes a descent into humiliation, and Geissler soon begins to internalize the dynamics and nature of the post-capitalist labor market and precarious work. Driven to work at Amazon by financial necessity rather than journalistic ambition, Heike Geissler has nonetheless written the first and only literary account of corporate flex-time employment that offers "freedom" to workers who have become an expendable resource. Shifting between the first and the second person, Seasonal Associate is a nuanced expose of the psychic damage that is an essential working condition with mega-corporations. Geissler has written a twenty-first-century account of how the brutalities of working life are transformed into exhaustion, shame, and self-doubt.